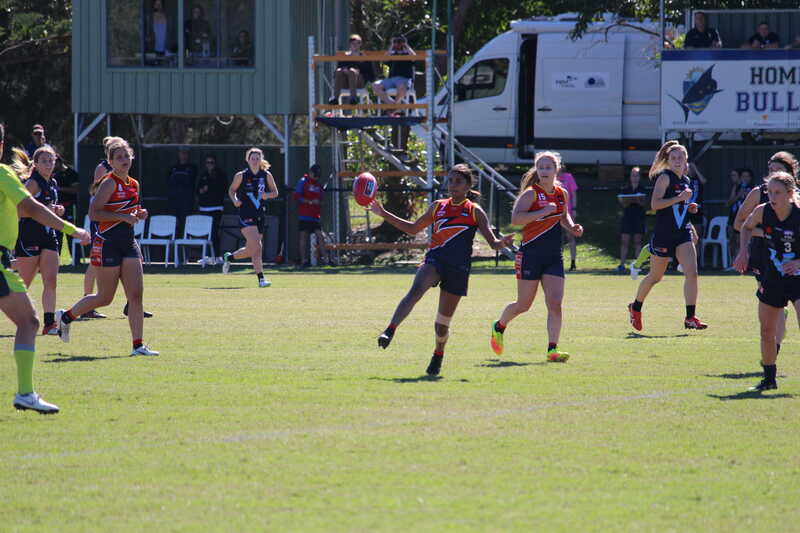 A COUPLE of close games highlighted the evenness of the Northern Territory Football League (NTFL) Women’s league this season. St Marys was the only team who secured a massive win, while Tracy Village secured a comfortable win. Southern Districts and Pint were the teams that were made to work for their victories, playing in exciting contests. It was another difficult start to the year for Nightcliff, with St Marys putting on a clinic to get a 64-point win. The Tigers held St Marys to a slow start, with the home side managing two goals in the opening term. But the Saints fought back with a four-goal second term to open up a 40-point lead at the main break. The onslaught continued with five goals in the second half but luckily for the Tigers, they were able to get a goal on the board in the last quarter. Jaylene Boundry led the way for the Saints, kicking five of her team’s 11 majors. She was complemented by Lauren Gooden and Fatnowna Frances, who each chipped in with two goals. For Nightcliff, Alexandra Dudley was the side’s only goal kicker. 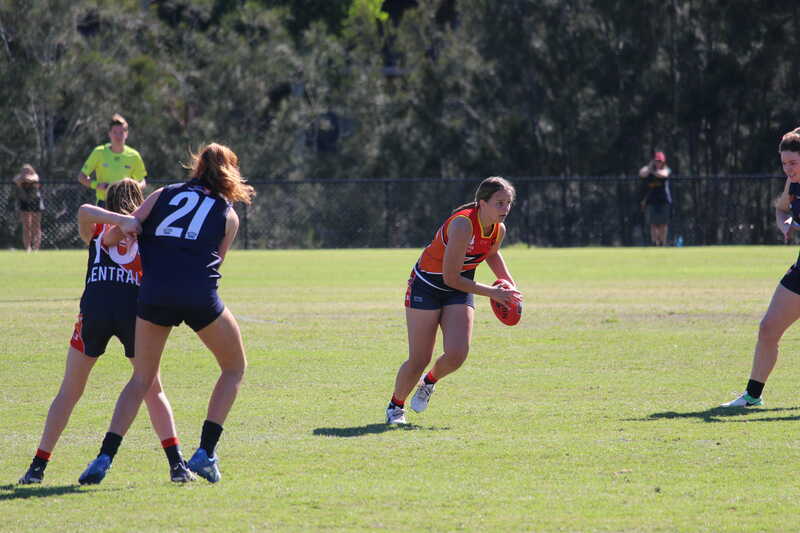 Sophie Hatzismalis was named best-on-ground for the Tigers while Hannah Turnbull, Emma-Lou Wolsey and Tayla Dando also had impressive games. St Marys: J. Boundry 5, L. Gooden 2, F. Frances 2, A. Coombes, M. Gunderson. The Southern Districts scraped away with a win in this game after plenty of lead changes. In the first term, the Crocs and Buffettes had the same amount of scoring shots, but the Buffettes were able to make the most of them, kicking 1.1 to Southern Districts’ two behinds. 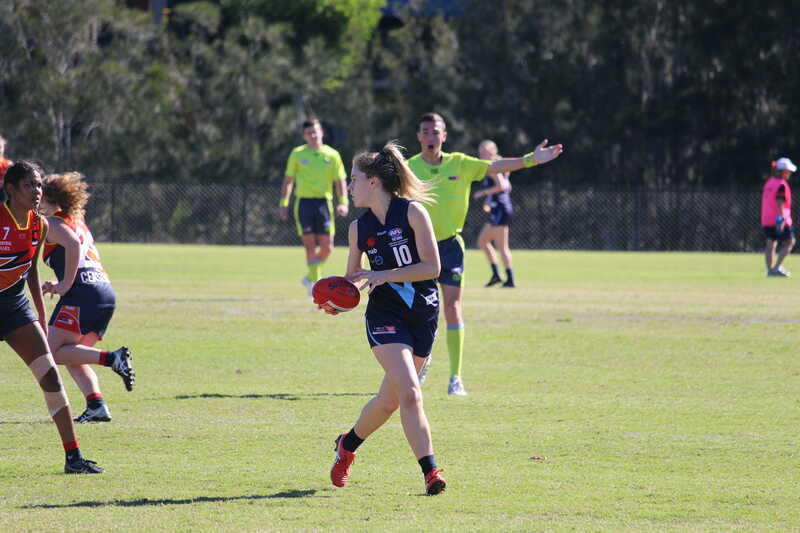 In the second term, the Crocs sparked up, holding the Buffettes scoreless while kicking two goals themselves to take a 12-point lead into the main break. 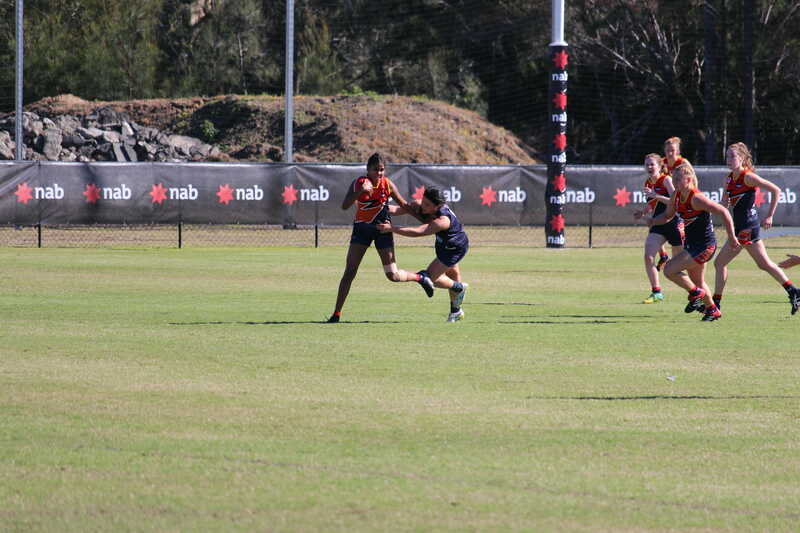 The scoring then dried up for Southern Districts, as Darwin went bang with a four-goal third quarter to take an 11-point lead into the last break. However, that is where the scoring ended for the Buffettes, with the Crocs storming home with a three goals to none last term to take home a seven-point win. 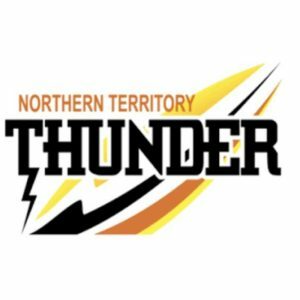 NT Thunder trio, Lateesha Jeffrey, Tahlia Holtze and Tayla Thorn led the way for the Crocs, being named first, second and third best, respectively. Their teammate, Machaelia Roberts was named best-on-ground for the Buffettes while Kylie Duggan got on the board with a major. Southern Districts: C. Deegan, B. Clarke, T. Voysey, K. Patterson, J. Hoes, A. Bartlem. Darwin Buffettes: K. Duggan, M. Taylor, M. Turner, Z. Anderson , N. Anderson. Tracy Village came away with a comfortable win at Gardens Oval on Sunday. The Razorbacks opened up the scoring with two first-term goals before the Wanderers evened up the contest, outscoring them in the second quarter. But Tracy Village fought back in the third term with a four goals to none third term. The Wanderers pegged one back in the last quarter, but the Razorbacks had also got on the board with two goals, taking them to a 29-point win. NT Thunder player, Kristy Irvine and Hayley Coga led the way for Tracy Village with two majors a piece. Debra Bree Bonde was named best-on-ground for the Razorbacks. Keyona De Satge and Paula Glover were the goal scorers for the Wanderers. Tracy Village: K. Irvine 2, H. Cogan 2, I. Hoadley, S. Grainger. Wanderers: K. De Satge, P. Glover. Pint has claimed a thrilling three-point win over Palmerston to kick-start its season. The Queen Ants started slowly, not scoring a goal in the first term. The Magpies did, but couldn’t get on the board in the second term, as Pint fought back with two majors to take a four-point lead into the main break. The trend occurred again in the third quarter, but this time it was the Magpies who got the better of the Queen Ants with a two goals to none term. They had the opportunity to score two majors in the last term but instead scored two behinds, while Pint kicked two majors in the term to secure a key victory. Kristen Smits scored half of Pint’s goals, while Cassie Henderson and Megan Dohnt each chipped in with a major. Smits and Henderson were named in the best while Erin Hetherington was deemed the leading player on the ground for the Queen Ants. 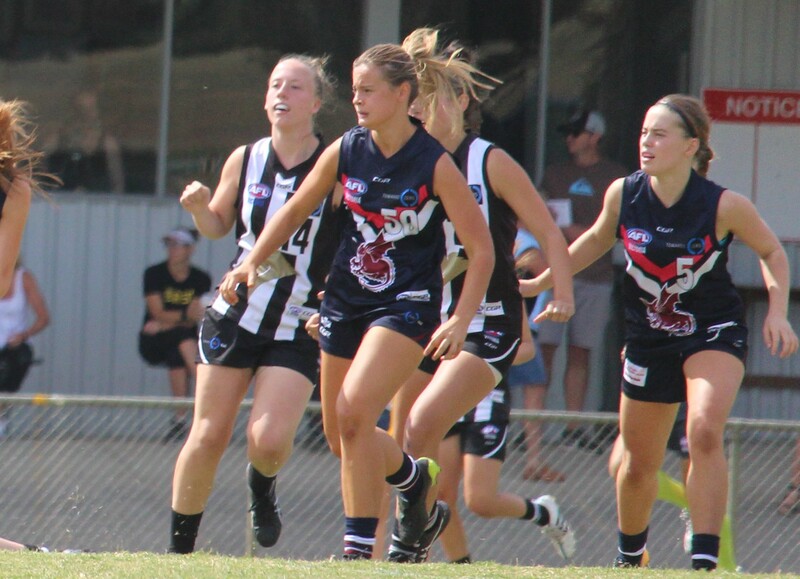 Karlee King, Northern Territory Under-18 representative, Janet Baird and Wynona Barlow were the goal kickers for the Magpies. King was deemed best-on-ground for her side.